Last but not least, here is our fourth guest… Léopold Eyharts! Léopold Eyharts is a French ESA astronaut. 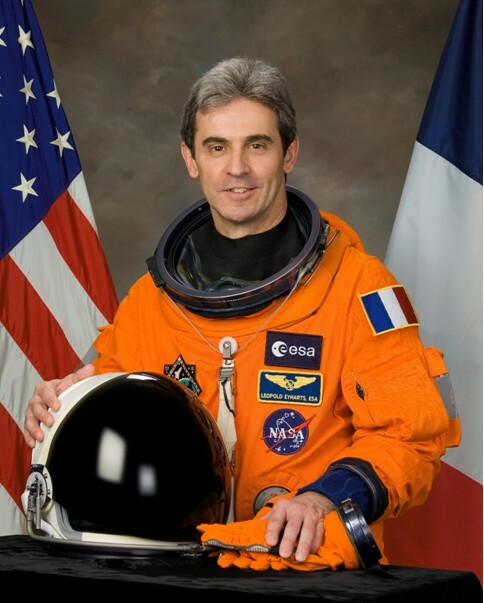 He is French test pilot, and was selected by CNES (the French space agency,) in 1990 to become an astronaut. After a training in Russia, he participated in the French-Russian mission Pegase in 1998 in the former space station Mir, and performed several scientific experiments during his three weeks in space. In 2008, he flew on the Space Shuttle Atlantis to the ISS, and was involved in the installation and configuration of the brand new European laboratory Columbus, and other new Japanese and Canadian equipment for the ISS. He now works on post-flight monitoring activities for ESA astronauts. During the SpaceUp, he will share with you his three-month-space-experience, and you’ll have the opportunity to ask him all your questions about human space flights!